Manafort was indicted on 16 counts tied to residential mortgage fraud and conspiracy, the indictment says. Paul Manafort has been indicted by a Manhattan grand jury in connection with a multimillion-dollar mortgage fraud scheme, according to court documents obtained by NBC News. Manafort, President Donald Trump's former campaign chairman, was indicted on 16 counts tied to residential mortgage fraud and conspiracy, according to the indictment unsealed Wednesday. The 69-year-old longtime GOP operative is accused of falsifying business records to illegally obtain millions of dollars as part of the yearlong mortgage fraud scam. 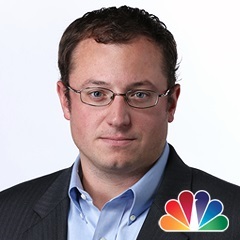 If convicted on the top count, Manafort faces a prison sentence of 8 to 25 years, a senior law enforcement official told NBC News. “No one is beyond the law in New York,” Manhattan District Attorney Cyrus Vance Jr. said in a statement. Vance said the investigation started in March 2017 and involves violations that "strike at the heart of New York’s sovereign interests, including the integrity of our residential mortgage market." The grand jury returned the indictment on March 7, according to a senior law enforcement official. Word of the new charges came less than an hour after Manafort was sentenced to an additional 43 months in prison by a Washington federal judge on conspiracy charges brought by special counsel Robert Mueller. Last week, in a separate case brought by Mueller, a Virginia federal judge sentenced Manafort to nearly four years behind bars on tax and bank fraud charges. In total, Manafort faces seven-and-a-half years in prison, though he'll get credit for nine months of time served. Trump has the power to pardon Manafort on federal charges, but the president would have no authority to intervene in the event of a conviction on state charges. Manafort's lawyer, Kevin Downing, did not immediately return a request for comment on the charges brought by the New York prosecutors. A Manafort spokesperson declined comment. Manafort will likely not be brought to New York immediately, according to legal experts familiar with the handling of such cases. Instead, he will soon be transferred to a federal prison and brought to New York for his arraignment sometime in the future, the experts said. The case brought by Vance appears to focus in part on Manafort's home in Soho, which was referenced extensively in his federal indictment in Washington. As part of his guilty plea, Manafort admitted to using the Howard Street condo to launder money he generated from performing illegal lobbying work on behalf of pro-Russian political factions in Ukraine. He has since been ordered to forfeit the home. Manafort purchased the property for $2.85 million through a holding company, MC Soho Holdings, in 2012, federal prosecutors say. It was used as an income-generating rental property from January 2015 through 2016, but Manafort applied for a mortgage on the condo starting in late 2015, according to federal prosecutors. In a bid to convince a bank for a higher loan, Manafort falsely reported that it was not a rental property but instead a "secondary home used as such by his daughter and son-in-law," according to Mueller's prosecutors. The New York indictment refers to an email Manafort sent to a person identified as "individual 1" discussing a visit from an appraiser. The federal indictment also mentions the email and identifies "individual 1" as Manafort's son-in-law. "Remember, he believes that you and [individual 3]" — known to be Manafort's daughter — "are living there," the email said, according to the prosecutors. Adiel Kaplan, Kenzi Abou-Sabe and Pete Williams contributed.